Trumpet classes with Thomas Gansch, Daniel Nösig and Aneel Soomary. It’s fair to say that Thomas Gansch is one of the most important and distinguished trumpeters at present. With his group Mnozil Brass, he easily manages to fill concert halls and venues throughout the world by creating music which moves about freely across all boundaries of musical genres and concepts: Classical, jazz, pop, folk music, interpretation, improvisation, composition, a sense of gravitas, as well as humour all come together to form the convincing and virtuosic music of Thomas Gansch. Thomas Gansch comes from a highly-regarded musical family in Austria, and his brother, Hans Gansch, was principal trumpet with the Vienna Philharmonic. He is co-founder of the aforementioned Mnozil Brass as well as being a member of the Vienna Art Orchestra. He received the Hans Koller Prize and is an active artist worldwide. At JAM MUSIC LAB the team of teachers specialised in trumpet performance comprises of Thomas Gansch, Daniel Nösig and Aneel Soomary. With their expertise they offer students a holistic approach, while always maintaining an acute awareness of the current professional realities: diversity of styles, technique and the possibility for students to individually specialise lie at the centre of the learning experience. 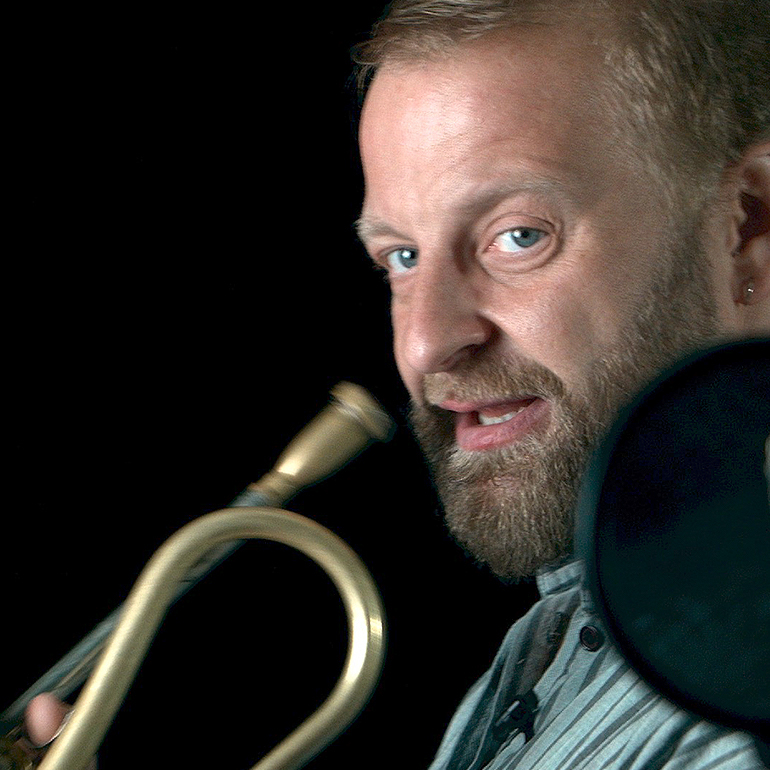 Thomas Gansch on the challenges of today’s professional musician and how they impact trends in contemporary education, as well as his own philosophy on teaching the trumpet. “For reasons I’ve never understood classical music and popular music have always been taught completely separate from one another. Even during my studies, the idea of studying to be classical concert musician and playing Jazz on the side was completely frowned upon, while on the other hand Jazz musicians often liked to joke about the absence of a groove in classical music. Through this walling-off, important influences have been lost on both sides, while despite this the trumpet has always managed to be a versatile solo instrument. Over time the demands that musicians have encountered have changed. In this day and age of course it is widely understood, not only to be somewhat acquainted with, but also to be highly proficient in various styles and genres. A purely classical musician for example, – that is if he doesn’t pursue an orchestral career or become and internationally renowned soloist – will find it hard to succeed in the open market. Jazz musicians who don’t have a solid grounding in their instrument are, oftentimes to an even greater extent, faced with the same problem. I think that a much more holistic and well-rounded education offers better possibilities to gain that necessary foothold in later professional life. This is why modern music education needs to include everything from stylistic diversity to technique, but also the free space, which serves to challenge and expand the independent artistic work and development of the students. To me technical know-how is just as important as one’s general musical capacity. Instrumental skills must be worked out and every music style must be interpreted. Only then can one begin to evolve artistically. Since versatility is something that’s extremely important to me, with my experience I can offer both brass-related and musically competent support, which all makes for a very broad stylistic spectrum. I’m just as familiar with playing brass passages in a funk band as with the studying of contemporary music. Belting out yodels across the mountains, soloing in a Jazz band, sight reading in the orchestra pit, free music making, being involved in theatre music, rearranging classical repertoire, preparing for auditions, writing and playing one’s own music – everything’s possible and I would also just as much like to help students find out what they would like to do after their studies. Just as important as the craft may be, the defining of goals is as equally important. In order to survive in the free market, you need more than just a Bachelor or Master’s degree, so together with the students I want to find where their strengths lie and thus, where their future career path can lead to. Let me help you develop your own unique voice with the trumpet and to become the best player you can be. The excellent lineup of our trumpet class at JAM MUSIC LAB, along with my esteemed and extremely competent colleagues, Daniel Nösig and Aneel Soomary, guarantee a learning experience that really covers all areas of trumpet playing.